Pure. Simple. Dazzling. And exquisitely show-off! Large flawless AAA simulated diamond solitaire on a slimline 2mm non-tarnishing Rhodium band. 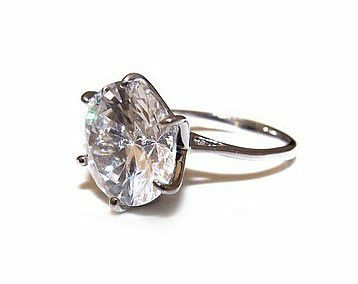 Size of simulated diamond: 13mm x 13mm.